Description: Agra, India - 9 November, 2018: View of the Nagina Masjid (the Gem Mosque) in the Agra Fort on blue sky background. 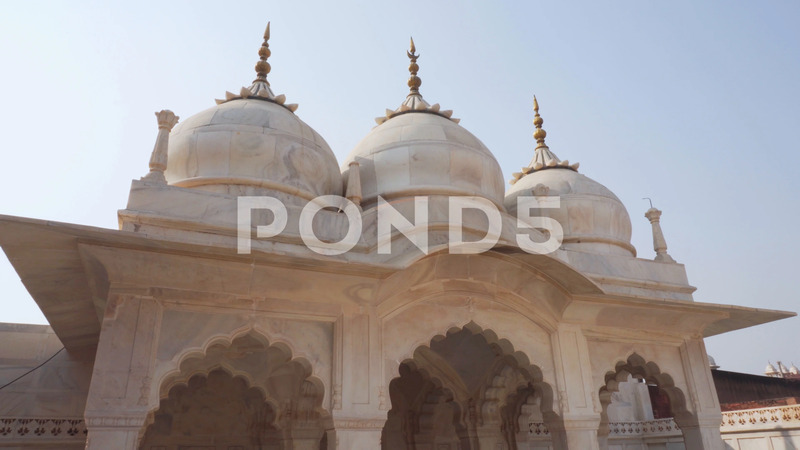 Three marble domes and carved arches. Mughal architecture.